Designed by the Dutch architect Alan Rijks, the golf course is located on the coast of Chiclana, in an area of 80 hectares. 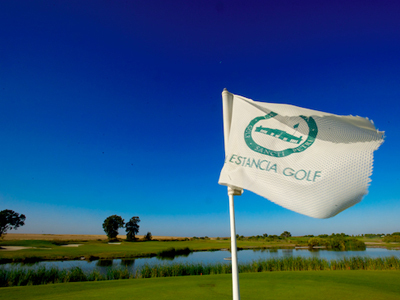 It is 6.257 meters long; PAR 72, 5.818 meters for male and 4.751 metres for female players, enclosed in the natural surrounding and the beauty of typical Andalusian villages. Buggy 35€, Trolley 5€, Club rental 25€, 50 practice balls 3€. Kontakta vårt kontor för golf paket, exempel Hotel Barrosa Park, Hotel Barrosa & Spa.